Home---> States---> NEW YORK Click here to get your tournament listed. 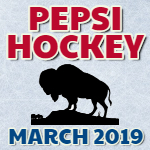 Outdoor Covered Classic at the famous Buffalo Riverworks Twin Rinks. Enjoy the rejuvenated downtown Buffalo with great sports bars and more. Stay downtown at the Embassy Suites minutes from the rink. Arrive a night early and catch the optional Sabres versus Red Wings Thursday night game. Take our hotel package or pay a team entry fee and book your own lodging. Relive the Olympic thrills of 1932 and 1980 and come to picturesque Lake Placid, NY. Just 5 hours drive from Toronto or New York, enjoy the beautiful lakes, panoramic views and small town charm of this rural destination set in the snow capped Adirondack Mountains. Stay in one of the first class hotels and play your games at the Olympic arenas, including the sight of the “Miracle on Ice” at the 1980 Olympics. There will be separate divisions for "A" House League teams (more experienced) and "B" House League teams (less experienced) in each age level. This year’s tournament will feature A, B, AE, Select and AA level teams in the Mite, Squirts, Pee Wee, Bantam and Midget Divisions. Each Team will be guaranteed a minimum of three games with over 60% of teams play 4 games. There is a maximum of five games. • Balanced, Competitive, well thought out Divisions. • After, One Game NST will provide a tray of pizza that can be taken out of the rink or enjoyed in J.R. Stone room , which is attached to the rink. • Each player receives thank you gift (bag tag, puck, etc) for entering the tournament. With constant communication with team officials, NST staff is dedicated to proper teams placement to ensure a great tournament experience.. These Divisions are comprised of House Select and also "A" Travel teams. Though we will post all information in good faith, we will not be held liable for any cancellations of tournaments or false information submitted.